Ah, the tradition of afternoon tea. How civilized! I’ve always thought that the English tradition of having tea was lovely. Instead of grabbing something out of a vending machine or hitting up a fast food joint, stopping midday to have a warm drink and a scone or crustless sandwich just seems so damn civilized. So I was pleased while visiting Altoona, PA to discover that we were going to take a short break to partake in this afternoon repast. The break was well-earned after a morning spent hiking in Canoe Creek State Park and visiting the Fort Roberdeau Historic Site. 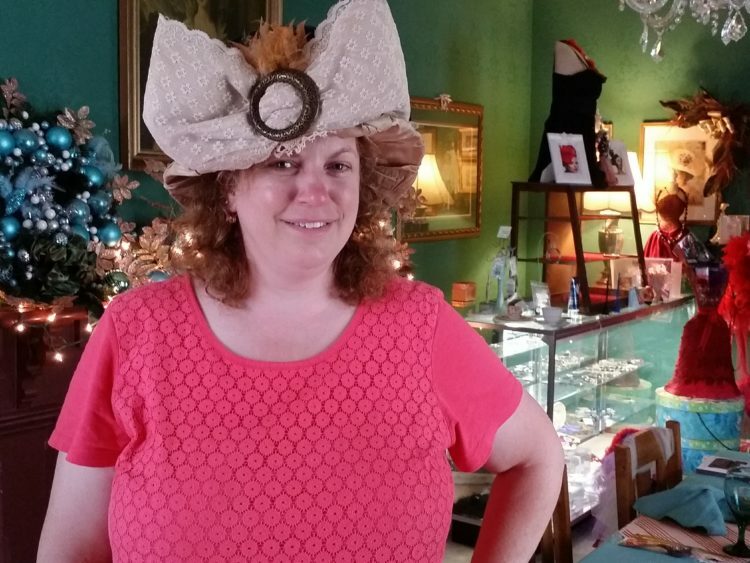 Little did I know that a visit to Pamela’s Victorian at Bell Mansion would combine two of my favorite things—tasty food and fancy hats! Because if you’re going to act like high society, you have to look the part. Despite the fact that I was a tomboy growing up, I love, love, love, playing dress up. And there’s nothing better than vintage clothing to put a girl in the right mood for an elegant meal. 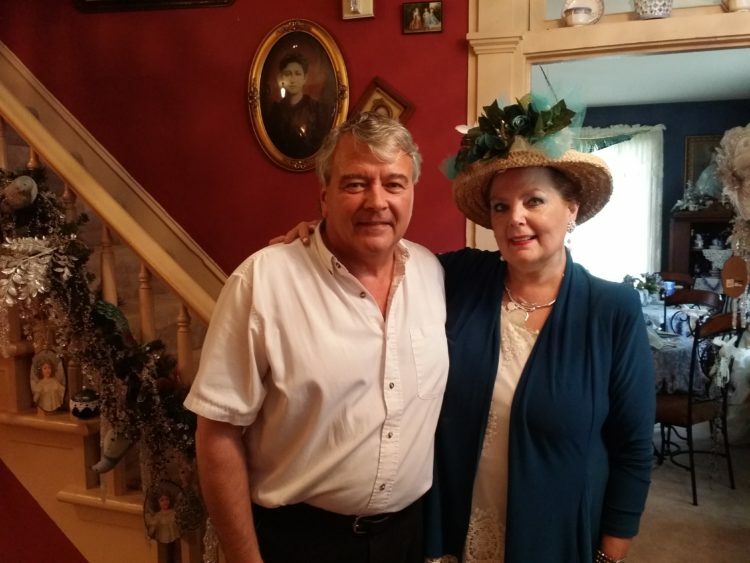 So when owners Pamela and George Wertman ushered us into Bell Mansion and then guided us toward the back room with its plethora of divine hats, I was in heaven. Hats, hats and more hats! You know we had to try them all on. Vanessa: Terri, do you see what I’m seeing? Terri: I see hats. Lots of hats. And I want that one. Or that one. No, that one. Oh my god, I look fantastic in all of them. Vanessa: Maybe I can fit more on my head than one. Because I want to wear them all. That wouldn’t be weird, would it? Terri: Why do you even bother to ask? Once a southern belle, always a southern belle. 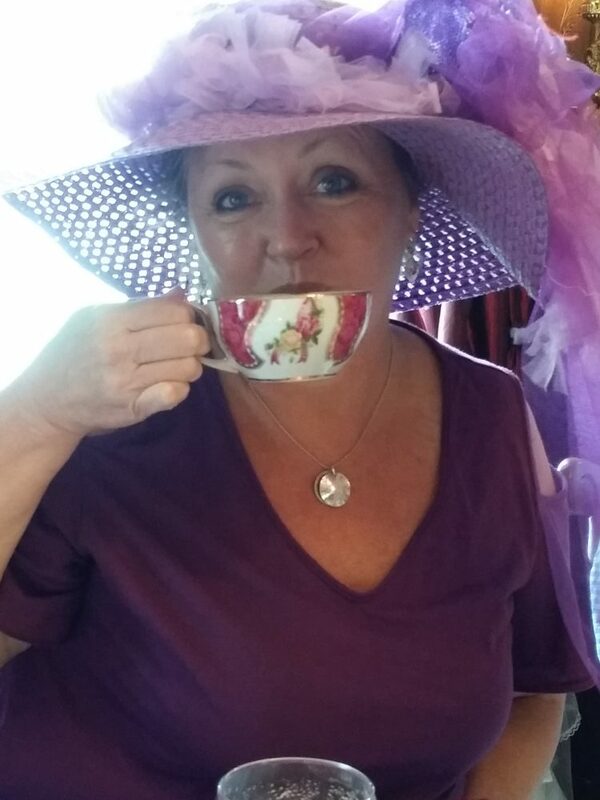 While Terri found the perfect purple hat to match her outfit, because she is pretty much the pageant queen, I went with the mother of all vintage hats—one so large that it actually hurt my head from the weight. Because let’s face it: looking good doesn’t always mean feeling good. I might have been slightly unbalanced, but damn I look good while perusing my many tea choices. Pamela then told us that in addition to our hats, we should choose our own tea set from a huge selection showcased in an in-wall cupboard. We also got to pick our own flavors. Not easy decisions, considering that the shop offers 95 types of looseleaf teas, including black, green, white, herbal, decaf, honeybush and their own house blends. And did I mention the more than 100 unique teapots and cups? Breakable items on every single surface. How there wasn’t an ‘incident,’ I don’t know. 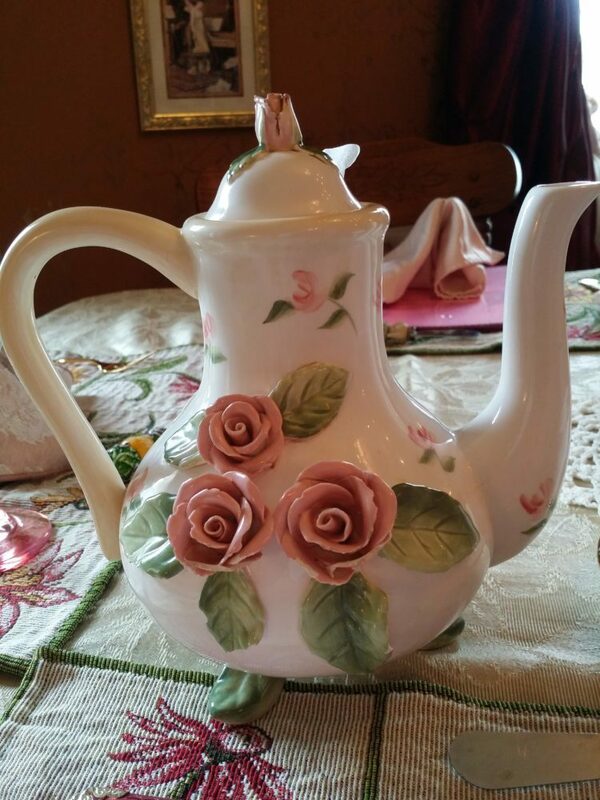 I chose a stunning white, pink and green teapot with raised roses, and a Royal Albert bone china cup and saucer commemorating the 100th birthday of the Queen Mother. Because , in my massive hat, I felt like a (slightly unbalanced) royal. 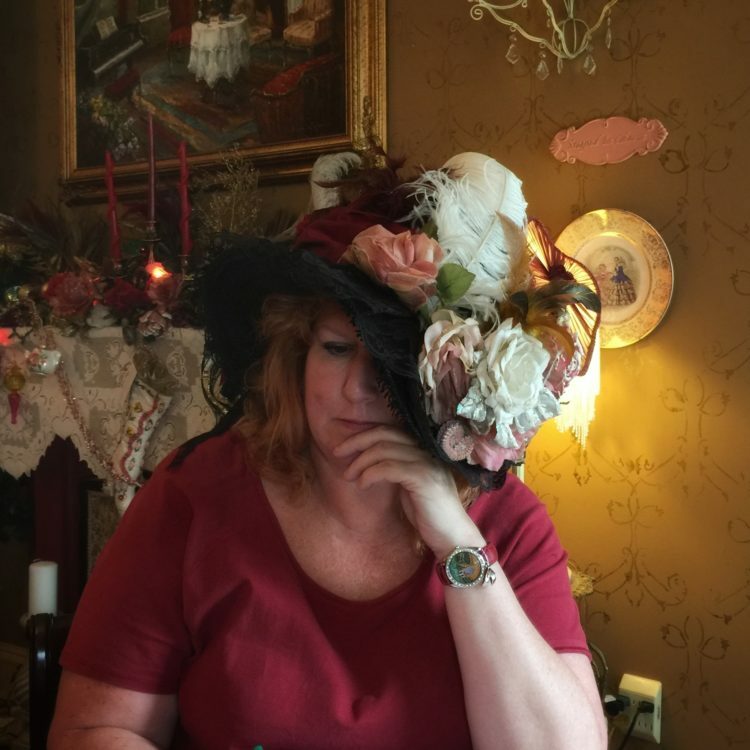 It was a bit worrisome to try to move about the tea house in my chapeau. With almost every inch covered with something breakable, I narrowly avoided quite a few “bull in a china shop” moments. A cranberry vanilla sugar scone with Devonshire cream. A girl could get used to this. Once we were seated at the beautifully appointed table, we were served a wonderful meal prepared by Chef George that included salad supreme (baby greens, cranberries, walnuts, tomatoes, grapes, cheddar cheese and a balsamic-basil vinaigrette), wedding soup, and a chicken salad sandwich on a croissant. I chose the house blend, Berry Berry Good Good Tea, to accompany my meal. I have to say it was very very good good. 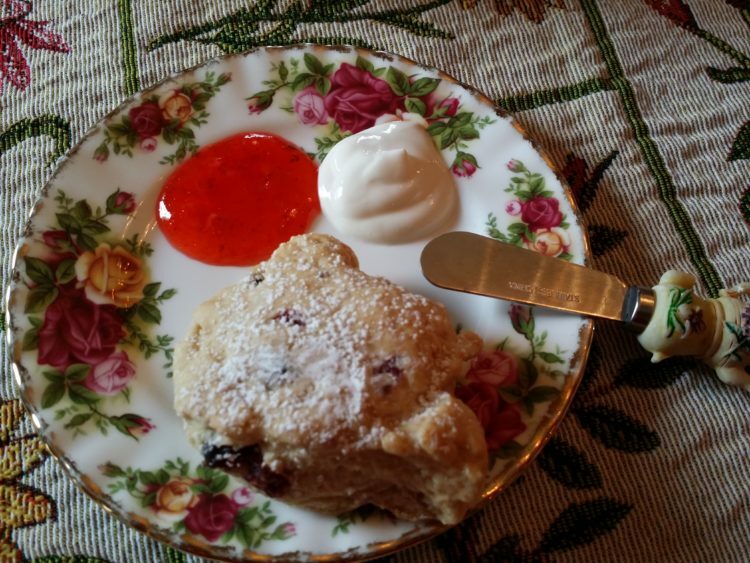 And of course, we enjoyed cranberry vanilla sugar scones with Devonshire cream, because when in England, or in this case, Altoona, you have to have your tea with the traditional treats. While we were dining, Pamela caught us up on the history of the Georgian-style Bell Mansion, which was built by Edward Bell back in 1822. 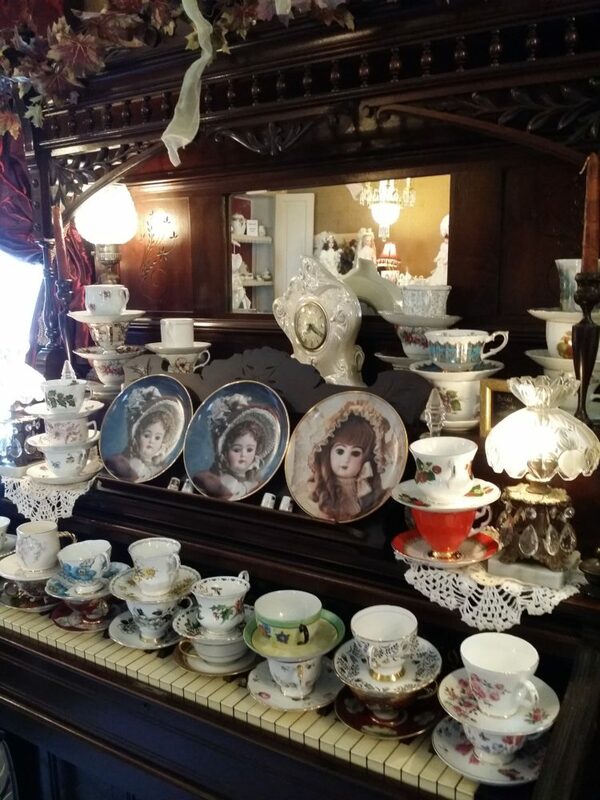 For a time it served as an assisted living home before the couple began remodeling it, turning it into a tea room and bed-and-breakfast that has two upstairs guest rooms, a gift shop and a music room where Pamela gives piano and voice lessons. Well-fortified for the rest of our day, we headed off to Baker Mansion, a Greek Revival-style home built by Alleghany Furnace owner Elias Baker in 1849. Who knew Altoona had such an abundance of fantastic historic buildings? While I felt a little naked leaving my hat behind, once I got the feeling back in my neck, I appreciated the wonderful break that Pamela’s had given us during such a packed weekend. Our friend, Jennifer Fleck, who is a total natural at this hat-wearing thing. 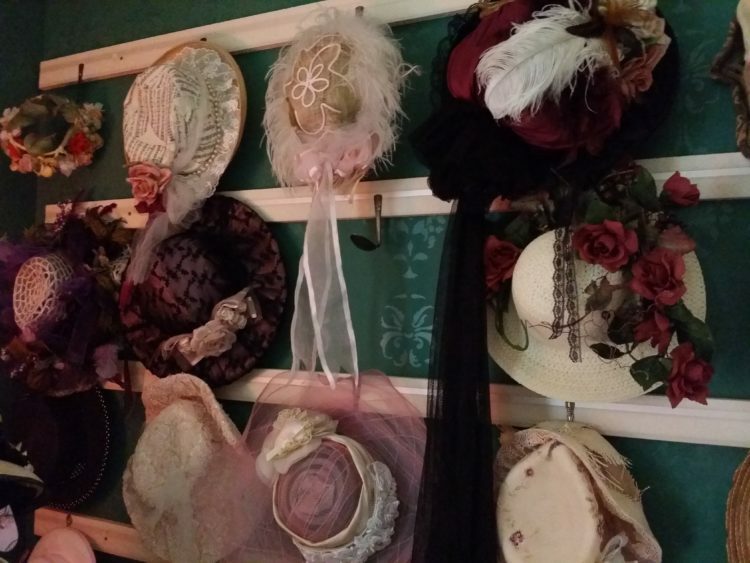 Want to celebrate the Victorian Age in style? What goes well with a hat? If you feel the need to accessorize, there are some wonderful places to shop in the area. Want to work off all those scones?